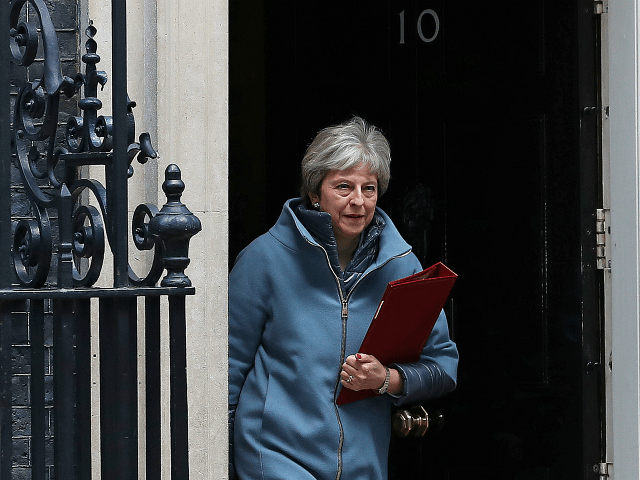 May was holding an emergency Cabinet meeting after the European Union granted Britain a delay to its exit in hope its deadlocked politicians can find a solution to the crisis. For two years, Britain’s departure date was set for March 29, 2019. Now, if the British Parliament approves the divorce deal May struck with the bloc, it will leave the EU on May 22. If not, the United Kingdom has until April 12 to tell EU leaders what it plans to do – leave without a deal, cancel Brexit or chart a new path. May hopes to bring her twice-rejected divorce deal back to Parliament for a third vote this week. But she stands little chance of getting it approved unless she can win over Brexit-backing lawmakers in her Conservative Party. At a meeting Sunday at the prime minister’s country retreat, Chequers, prominent Brexiteers told May they might back the deal – if she agreed to step down so that a new leader could take charge of the next phase of negotiations, which will settle Britain’s future relations with the EU. “Clearly, a number of people do not want the prime minister anywhere near the next phase of negotiations, which is the future trading relationship between ourselves and the EU,” pro-Brexit lawmaker Nigel Evans said Monday. Hundreds of thousands of people marched through London on Saturday calling for a new referendum on whether to leave the EU or remain, and opponents of Brexit feel the political tide may be turning in their favor. Meanwhile, pro-EU lawmakers plan to try to take control of the process out of the government’s hands by holding a series of votes on alternatives to May’s deal. They hope these “indicative votes” on options including a new EU membership referendum or a “soft Brexit” that maintains close economic ties to the bloc, can find a majority for a new path. The European Commission said Monday that it had finished planning for a no-deal Brexit, which could occur on April 12. The commission warned that despite the preparations, a cliff-edge Brexit would cause “significant disruption for citizens and businesses” in the bloc. It said new tariffs and border checks would cause delays for both people and goods. International Trade Secretary Liam Fox rallied to May’s support, saying she had support from the public, if not from lawmakers. “What I was finding from real voters was people spontaneously saying ‘I don’t understand how Theresa May puts up with the pressure, she is a great public servant, her resilience is amazing,'” Fox told the BBC.